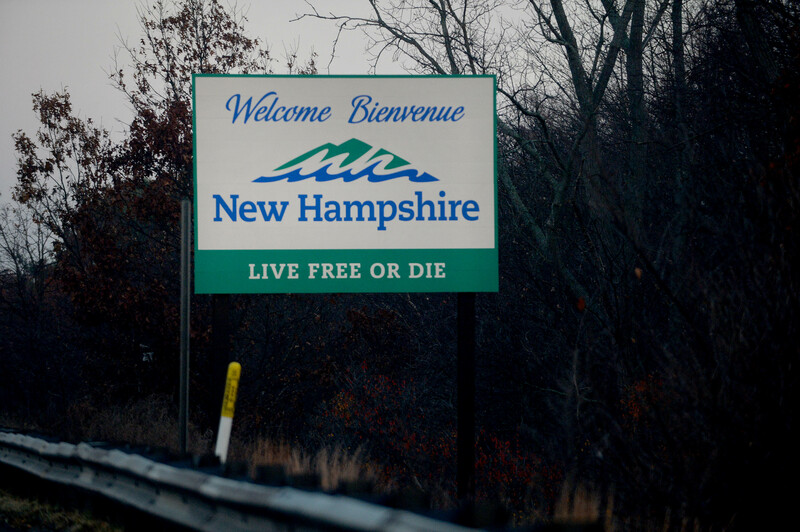 I'm a New Hampshire girl to the core. I may have been born in a Boston suburb, but I was raised in Southern New Hampshire, in a lil’ town called Londonderry, to be exact. It was lovely to grow up less than an hour from the beach, Boston, and the mountains. Why else do you think Walter White ended up in New Hampshire, sorry, I mean New Hampshah, in Breaking Bad ? It's because it really is that wicked awesome up here. There are some things only we Southern New Hampshire natives can understand. You know you grew up here if . . .
America may run on Dunkin’, but here in southern New Hampshire we run on Dunk’s, ice cold coffee by the one and only Dunk's — and not just because it's usually our only option. Who doesn’t want their weather reports to come in the form of high-pitched exclamations from one of the state’s many beloved “celebrities”? You know, because it’s the biggest. It’s glitz and glamor has also helped it garner its nickname, Manch Vegas. Ah! What the hell is wrong with those people and their lack of driving skills?! Get them off our roads and send them home! Then, in high school, you went on a date there, too, because nothing says romance like Friday night fireworks at Canobie. Yeah, we get it: We talk a little funny. But not as funny as the people in those two states. It wasn’t until I moved to NYC that I learned that this isn’t exactly the national treasure that I thought it was — it’s straight-up New England. This fact makes for a straight-up national tragedy. The malls are packed enough as it is with Massholes thanks to our no sales tax up here, so Salem’s Rockingham Mall is definitely out of the question. Those damn Massholes again. Why can’t they go enjoy the foliage in the western part of their own state? I mean, phonetically, they do make far more sense. Surely, a U-turn can’t be strictly a northern New England thing, but banging one totally is. Despite the fact that the state keeps on going for miles and miles after that, for some reason, the majority of us southern N.H. kids don’t go much farther than the North Conway area. Unless, of course, we were making a run for the Canadian boarder to drink in bars before turning 21. It’s about growing up, evolving, and moving past fluorescent bikinis. “The decks” were also totally your scene once you started going to UNH. Although he was born in Brooklyn, Adam Sandler was raised in Manchester, so we like to claim him as our own. We also like to point out that both Seth Meyers and Sarah Silverman are from Bedford. It’s, like, only our state (and life) motto, and it's on our license plates, to boot.